During a visit to Fort Gordon, Freedom Alliance’s program officer, Alicia Behm, stopped in at the Charlie Norwood VA Medical Center in Augusta, Georgia. Thanks to a grant from the Hatton Foundation, Freedom Alliance was able to donate funds to construct a special courtyard at the VA, and Alicia got to see the finished product and chat with some of the folks that use the facility. The courtyard is distinctly designed to accommodate soldiers with mobility issues. A meticulous process was followed to achieve the necessary terrain, and it’s now accessible to patients using wheelchairs and prosthetics. 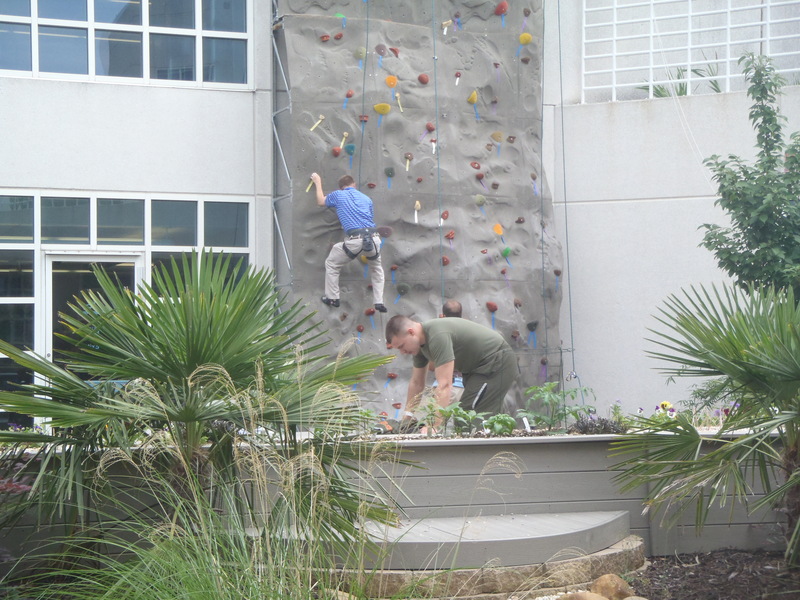 Since its construction, the area now features an exclusive therapeutic rock-climbing wall. Alicia spoke with Doug Mitchell, who works with the active-duty rehabilitation unit. He complimented the courtyard, saying that it’s getting a lot of good use. In-patients are planting and maintaining their own gardens in the area, and the medical center is currently building an addition that will overlook the new landscape. Providing a beautiful space for patients to create in and exercise, the courtyard is a valuable and unique tool for recovery.